The ongoing conflict between western Europe and Russia regarding the poison attack on a former Russian spy in the UK seems to be reaching fever pitch – in Denmark too. First, in a show of solidarity with the UK, Denmark kicked out two Russia diplomats, before Russia responded in kind. Now, with Theresa May set to visit Copenhagen next week, Danish PM Lars Løkke Rasmussen is ready to boycott the World Cup in Russia as a next step. “Until now, Russia has just responded by expelling diplomats, but they haven’t related to the actual questions. And every time they’ve tried to do that, they’ve done so with shifting explanations,” Rasmussen told DR Nyheder. Take it on the tele? 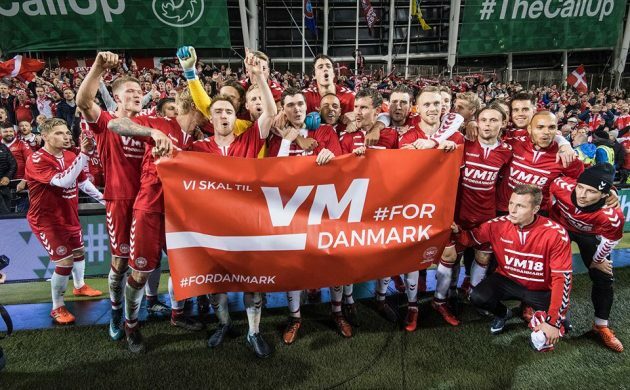 Last week, several parties in Parliament suggested preventing the official Danish delegation – the politicians and royals – from turning up to the World Cup in Russia. Among the parties to take that stance are Konservative and Venstre – which are both government parties. “It would be very tough for the official Danish delegation to head to Russia to party,” Michael Aastrup Jensen, Venstre’s spokesperson on foreign issues, told DR Nyheder.